Reactive species are continuously produced in vivo by all body tissues. 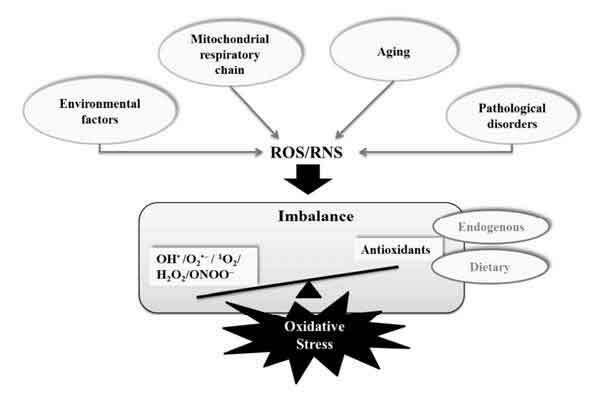 However, when an imbalance between the reactive species production and the endogenous pool of antioxidants occurs, the resulting oxidative stress can somehow intensify the pathophysiological mechanisms of several diseases, such as neurodegenerative diseases. Although the aetiology of Parkinson’s and Alzheimer’s diseases is not yet completely understood, it is accepted by the scientific community that the oxidative stress can act as a trigger or can be involved in the course of both diseases. Therefore, the development of an antioxidant-based therapy could be a helpful approach to ameliorate the deleterious effects of oxidative stress in neurodegenerative diseases. Coumarins and chromones are natural or synthetic chemical entities described as privileged structures with diverse biological activities that have been used to design new drugs with potential anti-Alzheimer and anti-Parkinson profiles. Since some of these compounds also displayed potent antioxidant activity, the rationale approach to developing new drugs based on the benzopyran scaffold, as therapeutic alternatives for neurodegenerative diseases, is a valid and compelling topic. This review provides a medicinal chemistry overview on the discovery and development of benzopyran-based compounds endowed with antioxidant, neuroprotective and anti-Alzheimer or anti-Parkinson activities. Neurodegenerative diseases, Alzheimer’s disease, Parkinson’s disease, Oxidative stress, Chromones, Coumarins. CIQUP/Departamento de Quimica e Bioquimica, Faculdade de Ciencias, Universidade do Porto, Porto 4169-007, Portugal.